Major Vijay Singh Mankotia, Vice Chairman of Himachal Pradesh Tourism Development Board (HPTDB) has stressed the need for modernization of existing runways and airports in Himachal Pradesh on priority basis and starting regular and adequate flights for the State so as to cater to the needs of high-end tourists willing to visit the hill stations of the State. He raised various issues relating to the exploitation of tourism potential available in the State with Union Minister of Civil Aviation Shri Ashok Gajapathi Raju Pusapati in a meeting held at New Delhi, today. It was a courtesy call. Apprising about the tourism potential available in the State, Major Mankotia said that there was an urgent need to take up the matter of modernization of existing runways for which special intervention and support of Civil Aviation and Airport Authority of India was required. He also raised the matter of expansion of existing aviation facilities in the State so that proper air connectivity could be provided for the tourists particularly foreign tourists. He apprised that at present there were inadequate runways and limited flights being operated in the State which needed urgent intervention of the Union Ministry. Union Civil Aviation Minister took keen interest in all the matters raised by Major Vijay Singh Mankotia and asked for submission of a comprehensive plan for tourism potential available in the State so that Ministry could extend support to the State Government. 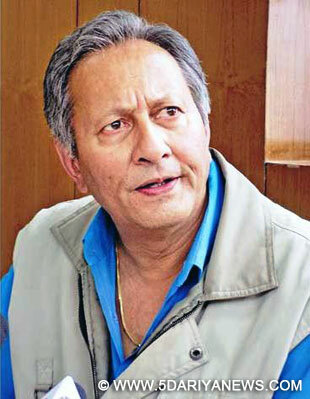 He said that the Central Government was keen to initiate various tourism projects aimed at employment generation for rural youth and also economic activities at grass root level.Referring to the affection of former Prime Minister Shri Atal Behari Vajpayee towards the people of Himachal Pradesh, the Union Minister said that Himachal Pradesh had always remained a favourite destination for renowned personalities. Major Mankotia also invited the Union Minister to visit Himachal Pradesh and honoured him with Himachali shawl and cap. He also informed the Minister that the State Tourism Department was also contemplating to organize a seminar on tourism activities in the State in near future.